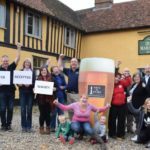 The pub has created volunteering opportunities and increased community engagement through its regeneration and also provides a range of services, community activities and employment opportunities for local people. The Duke of Marlborough is a 500 year-old inn and a Grade II listed historic building located in the attractive Suffolk village of Somersham, Ipswich. In 2014 the pub was threatened with the prospect of being delicensed as the previous owners were wanting to sell and retire. Being the last public house in the village, the local community felt strongly about saving the Duke of Marlborough. The Duke of Marlborough is in many ways a national as well as a local treasure. It symbolises all pubs that have been the lifeblood of communities for centuries but are now under threat of being turned into residential properties. 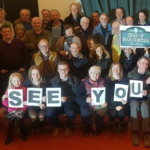 People from the local community a public meeting to discuss the closure of the Duke of Marlborough and from that a campaign began. They set up a steering group, comprised of local people with a wide range of expertise, to direct and run the campaign. A host of additional volunteers also came forward and offered to be involved in many different activities – ranging from leafleting and fund-raising – to event management, gardening, refurbishment and DIY. The steering group then approached the More Than a Pub programme for guidance and support. The group received specialist advice and a funded study visit was made to The Case is Altered, another community-owned pub, that continued to offer support and provide mentoring after the study visit. They also received a bursary grant of £2500. 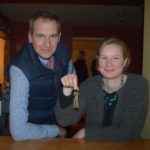 The value of the property was professionally and independently valued in the region of £300,000, and the locals launched a pro-active crowdfunding campaign. After two long years of fundraising and campaigning enough money was raised from community shares and loans for the group to put in an offer. The Duke of Marlborough received a combined loan and grant package of £95,000 under the More than a Pub programme. 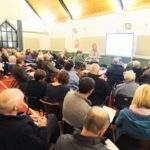 Funding applications were also made and granted from: Suffolk County Council (£1550), Somersham Parish Council (£1000), and Suffolk Empowering Communities Fund (£1000). The Duke of Marlborough has now opened as a community-led pub where local people and visitors can enjoy a range of community activities. Volunteering opportunities such as event organisation, finance, catering, and bar work have improved employability. Not only are people encouraged to indicate what they might like to do e.g. bar work, catering, finance etc. there are also opportunities to meet other people who have life skills in employment and can offer mentoring. Vulnerable people comprise 20-30% of the local community and since Somersham and the surrounding villages have a very limited bus service, the pub provides an important facility for residents with limited transport. The pub provides a regular lunch club for elderly people, plus services such as free Wi-Fi, free advertising on their notice boards, book exchanges, general advice on local trusted traders (such as plumbers, gardeners, electricians etc) and information on support groups. The pub is currently seeking funding for IT equipment in order to be able to provide training sessions. It is keeping the community closer together and active in reinvigorating other parts of the village.